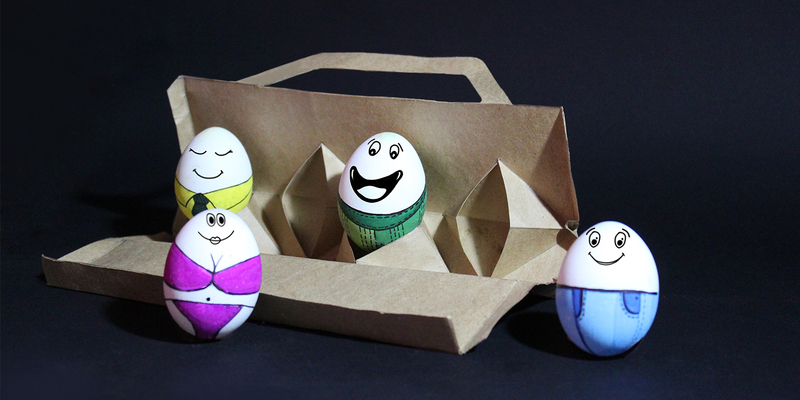 Carrying eggs becomes very difficult in regular egg packaging as it doesn't provide safety and comfort to carry it from one place to another. 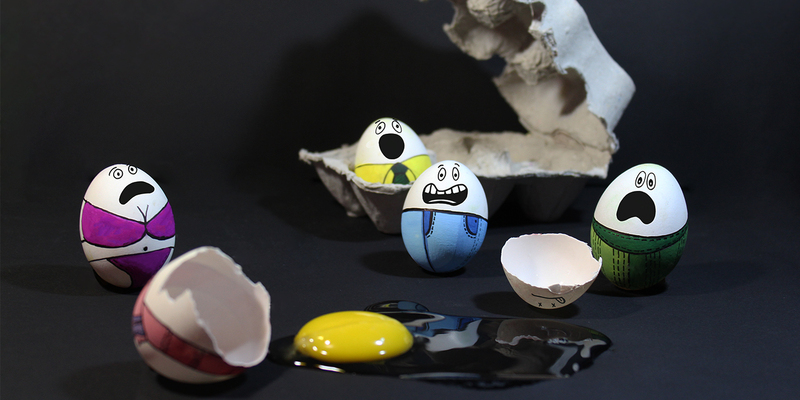 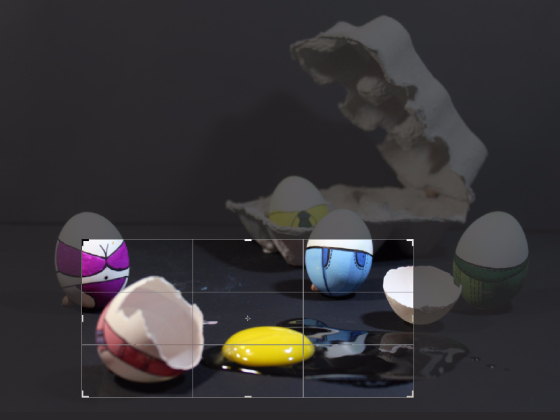 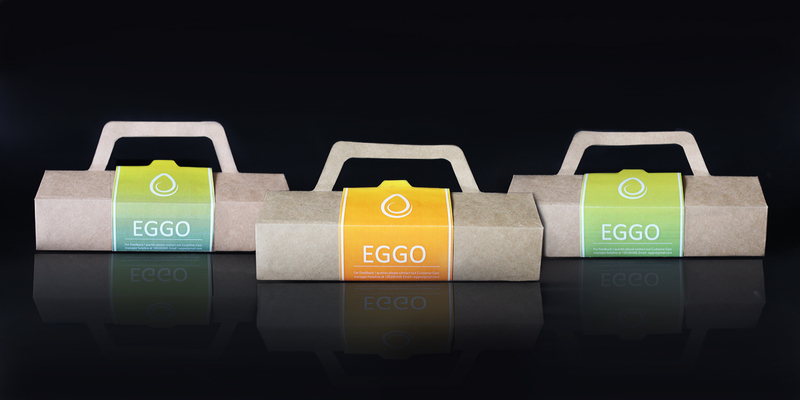 So, the brief was to create a packaging for four eggs keeping in mind the safety, material, and uniqueness of the packaging. 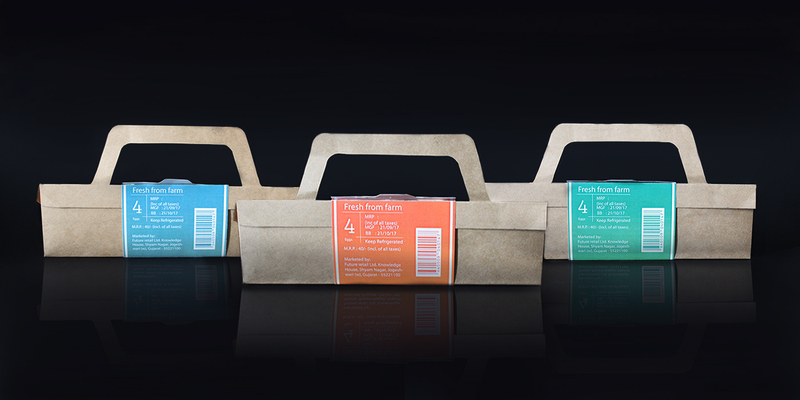 We came up with the packaging which is handy, easy to use, eco-friendly, and can be used multiple times. 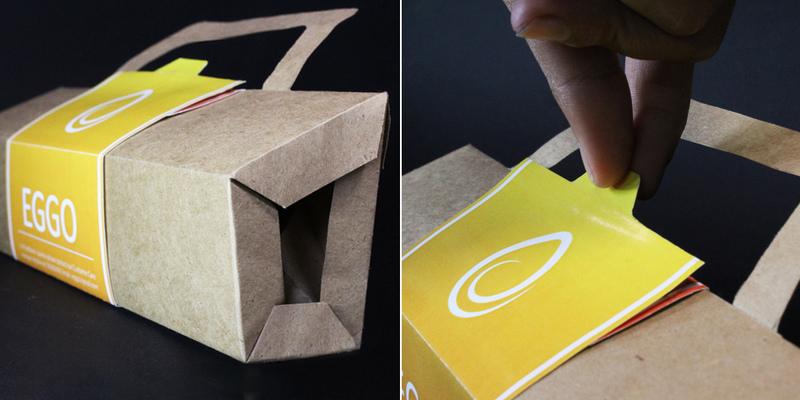 We kept the packaging very simple by using recycled paper. 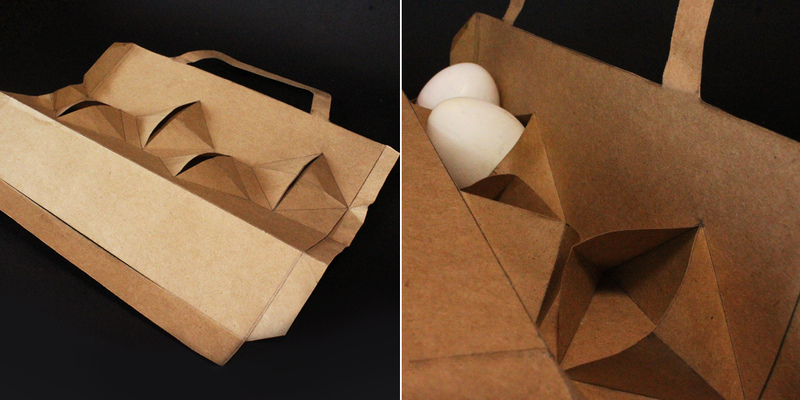 Also, when not in use it becomes a flat-pack for easy mass storage purposes. 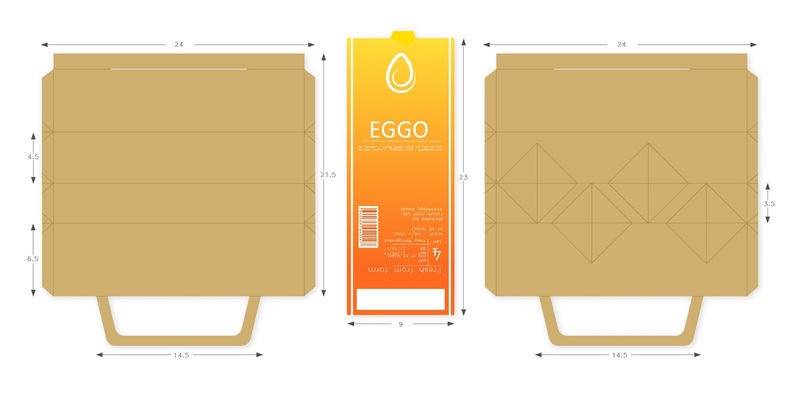 The uniqueness of the whole packaging is it becomes a flat-pack when not in use which becomes easy for mass storage purposes. 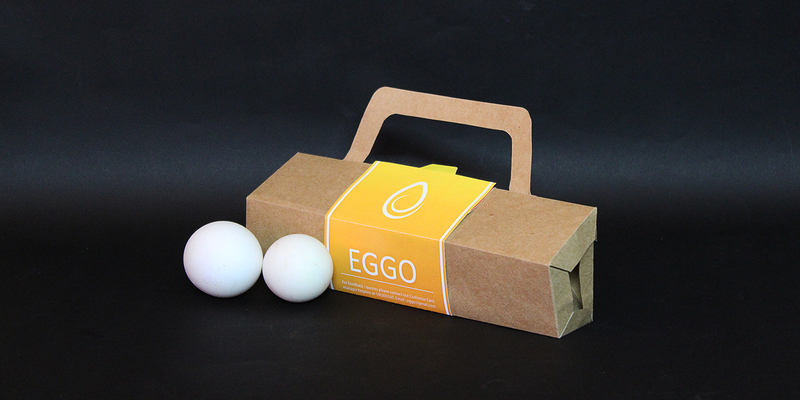 The inspiration of inner packaging is from hen's beak which is holding the eggs safely.